Read Part 4 in this series. Self-publishing is not new. It’s been around for a very long time. In fact, it’s probably at least several minutes older than the professional publishing industry, which only sprang up when people realized they could make money printing other people’s work instead of writing their own. What is new is the astonishing modern proliferation of self-published work. This is very much a 21st-century phenomenon. Exactly how many books are self-published every year in America alone is unknown, but this number is certainly in the hundreds of thousands, and probably over a million. So how do you stand out? If you’re going to skip the winnowing process the traditional industry represents and go straight to print, then you’d better make sure your book is every bit as good as it would be had a professional publisher subjected it to their editorial threshing machine. If you don’t, then it adds little to the culture. And who needs yet another badly-edited, poorly-conceived book? Nobody, that’s who. You owe it to yourself, and to your readers, to self-publish like a pro. For that, of course, you’ll need money. Not huge amounts, but probably at least a couple of thousand. If you don’t have that kind of money lying around, then it is possible to get it from other people in the form of pledges, which are themselves a kind of pre-sale of your book. 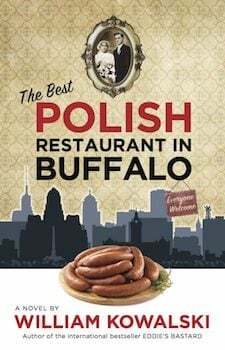 In this series of blog posts, I’ll be describing the process of self-publishing my 14th novel, THE BEST POLISH RESTAURANT IN BUFFALO, with money I raised from a successful Kickstarter campaign. I’m addressing these posts to those authors who are seeking information and insight on how they can do something similar for their own projects. The steps I’m going to describe are what’s worked for me. That doesn’t mean they will work for you, and it doesn’t mean you should copy me exactly and expect the same results. But sharing experiences is the best way to learn. So, take what you want and leave the rest. One unexpected insight: Kickstarter relies heavily on Facebook to function. I started writing this book in 2014. I launched my Kickstarter in August of 2016, when the manuscript was essentially finished. The purpose was to cover the costs of editing, cover design, and advertising. These are all the things that a publisher would typically spend money on. I know this because I’ve been through the process many times before, and while I am no expert, I can tell you this: there is an awful lot that goes into publishing a book. And it’s expensive. To do it right, I calculated that I would need about $7,500.00 (in Canadian dollars) at a minimum. I figured roughly $2,000.00 for an editor (this was based on an estimate provided me by my editor of choice), another $1,000.00 for a really nice cover (again based on an estimate from my cover designer of choice), and another $1,000.00 or so for proofreading and layout. The rest would go towards advertising, and the more I had to spend on that, the better. I didn’t want to pay out of my own pocket if I could raise the money some other way. Why not try to crowdfund it? I figured the Polish-American community would rally behind me. A few friends might kick in as well. This is how I assumed it would go. My assumptions were backwards, as assumptions often are. #1: Use Facebook. A lot. It was my friends, and mostly my Facebook friends, who contributed most heavily to the success of my Kickstarter campaign. In fact, 95% of my contributions came from people I knew, and about 95% of them were referred through Facebook. Even those members of my family who contributed did so because they saw my Facebook posts. I should really call this a KickFace campaign, or some similar portmanteau. One unexpected insight: Kickstarter relies heavily on Facebook to function. So, if you gain nothing else from this post: focus on using your Facebook friend list to publicize your Kickstarter campaign. Don’t even bother trying other methods, unless you’re some kind of celebrity with an already-massive fan base. There is simply no other way for you to reach a large amount of people so easily. 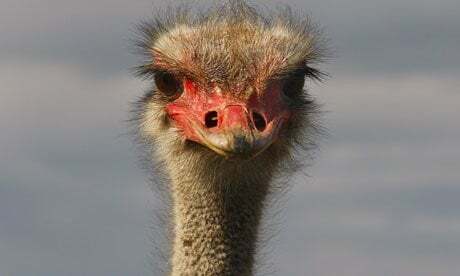 I tried Twitter, I tried my (smallish) mailing list, I even got my friend Doris Booth to post a piece from me on the front page of her website, Authorlink.com, which gets tens of thousands of hits per month. All these avenues resulted in just a fraction of my overall responses. I won’t say they were a waste of time, because the more exposure your project gets, the better. But in the end, Mark Zuckerburg’s invention is what got me where I needed to be. So, thanks for that, Zuck. You’re a hell of a guy. #2: Finish your book first, then raise the funds to publish it. I haven’t seen many other authors trying to publish in this particular way before. I’ve seen plenty who launch crowdfunding campaigns in the hopes of raising enough money to buy themselves time to write. But those campaigns tend to fail, I think because people would rather get something concrete in return, rather than just subsidize the life of a writer. So, here’s the next thing I would offer: I would finish your book first, and then try to raise the money to self-publish it, rather than try to raise the money to write it. I believe you’ll get a much better response. You can frame pledges as pre-orders. People are actually buying something from you; and they are more likely to do so if they believe it has a very good chance of coming into existence. After all, anyone can say they’re going to write a book. One might assume that because I’ve published so many books with traditional publishers, I would just stick with that method. But the traditional model has let me down nearly every time. As an aside, I’ve also seen a couple of publishing companies built around the model of crowdfunding based on pre-orders. Unbound is one. Inkshares is another. It’s an interesting approach. If you’d like to try a hybrid method of crowdfunding with the backing of an experienced publisher, this might be the way to go. So why did I decide to self-publish? One might assume that because I’ve published so many books with traditional publishers, I would just stick with that method. But the traditional model has let me down nearly every time, in one way or another. Books never sell as well as expected. It’s just the way it goes. Although I’m grateful that publishers want to put my books out there, and honored that they want to pay me in advance for copies they assume they’ll sell, I’ve never felt that I’ve been properly marketed. This is not a complaint–after all, selling books is very, very hard, and I’m not the only author they have to deal with. It’s just a statement of fact. #3: Your proposed budget should imitate a real publisher’s budget. How do “real” publishers do it? Once the book is physically produced, it’s all about marketing. In this respect, a book is like any other product. The more exposure it gets, the more likely it is to sell. Books get exposure through advertising and word-of-mouth. The former is expensive; the latter is free, so publishers try to generate as much buzz around a book as they can. Have more ideas? Add them in the comments below! Plan on budgeting for these things to help make your publication as successful as it can be. #4: Your marketing plan is not a state secret. Sharing it with the general public can boost your credibility. I’ve never written a book that was designed for such a clear demographic before. Most of the time, I write about what’s on my mind, and later I try to figure out who might want to read it. That’s the reverse of what marketing teams would have me do–they’d much rather an author target a specific market, then write something they can sell to that market. I don’t have anything against writers who regard their books as products, but I’ve never been able to tap into my creativity that way. Well, guess what? I’ve developed a whole new sympathy for marketing people, because now I have to be one. I will always feel at odds with the bizarre dual nature of being a professional writer. I’m an introvert who would rather not have any attention called to himself in person. (If I liked people looking at me, I would have become an actor!) But I desperately want that attention to be diverted to my writing. The artist in me resents the commodification of my work. Part of me doesn’t care if anyone actually buys it. I just want them to read it. But how is a professional to survive with no income? And how will people value my work if there isn’t an equal exchange of value? This inner dialogue is far from resolved, and will likely continue for the rest of my life. A professional marketer comes unencumbered with any of this baggage. They see a product and try to figure out ways to sell it. Enviably simple. I am not a professional marketer. But I do have faith in my work, and I know some tricks to get people to respond. I found that when I offered a clear explanation of how I planned to promote the book, people responded positively. It helped convince them I wasn’t seeking the funding to lounge about in my bathrobe, smoking a pipe and staring at the ceiling while waiting for inspiration to strike. Inspiration had already struck. That, in turn, inspires others. Think of it this way–by allowing people to help support your dream, you’re showing them that it’s possible for them to achieve theirs as well. This book is different for me. It’s a creative work, mostly fiction, but it’s based on someone I knew well–my great-grandmother. It’s got appeal to some very specific groups: Polish-Americans in particular, and, more broadly, immigrants. In the crassest possible terms, it’s the most marketable thing I’ve ever written, if only because I know who to approach about it first. It’s got a specific target audience with broad crossover appeal. See? I’ve learned how to think like a marketer. This is a result of 18+ years of exposure to the publishing industry. I don’t say this to brag. It’s an unfortunate side effect of my career. I often say that writing is an art, and publishing is a business. The two of them really have nothing to do with each other, and yet they cannot survive without each other, either. Yet it’s the rare person who can walk both sides of the line at the same time. I will never be a good marketer, not really. But I think at this point I can probably fake it as well as the next guy. #5: Tell people why you wrote this book. Make it about your passion, not about sales. If you’re unfamiliar with Simon Sinek’s powerful TED Talk presentation called “How Great Leaders Inspire Action,” I recommend you watch it. It’s also referred to as “The Power of Why”. It’s one of the most transformational things I’ve ever seen. I’ve shown it to countless groups of adults who were struggling to reinvent themselves after having been laid off, but it works for anybody, especially authors. Why did you write your book? Share that with people. The right people will respond in the right ways. excellent article Bill. Keep it up. Great insights here — thank you! Interesting to hear how important Facebook was to the success of the Kickstarter campaign. Good to know.